Phi Phi Island, like the rest of Thailand, uses the Baht as the primary form of currency. 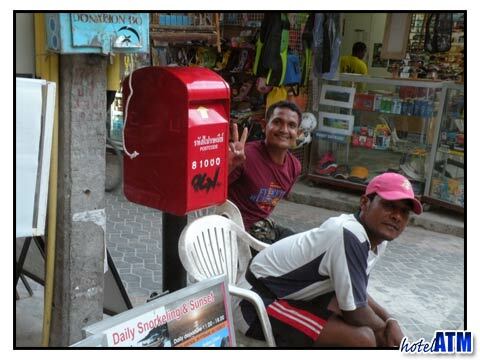 It is always a good idea to exchange your money at a bank prior to traveling to a destination like Phi Phi Island. There are ATM machines on the island where you can get quick cash. Though it is possible to exchange currency on the island, you may find the best exchange rates prior to arriving on the island. Good places to change money is at your hotel like Phi Phi Island Cabana Hotel or the Phi Phi Hotel. On Phi Phi, money is needed for boat rides, recreation, food and beverage and activities so you will want to consider exchanging enough money to ensure you have Phi Phi Island currency when you need it most. Some hotels and resorts may assist you in exchanging currency and you will find a handful of other places to exchange your currency into Baht. If you are flying into Thailand you will be able to exchange your currency into Phi Phi Island money at the airport, exchange office or bank. You should have no problem exchanging your money. When exchanging your money for Phi Phi Island currency make sure you have different denominations. You do not want to ask a boat captain on a long tail boat to give you change for large denominations. Many things on Phi Phi Island are quite inexpensive so have sufficient currency in low denominations as well as higher denominations. You will be able to exchange currency from most countries and travelers cheques as well. If you are concerned with the ability to exchange money into Baht you can call ahead of time or exchange the money in your home country prior to taking your trip. Any unused Baht can be exchanged back into other currency as you leave this island paradise and head back home. Small denominations make a nice souvenir especially for children who are often delighted by receiving exotic currency from a far off land like Phi Phi Island.